All shots with close-ups of faces from “The Eleventh Year” (Dziga Vertov, 1928). 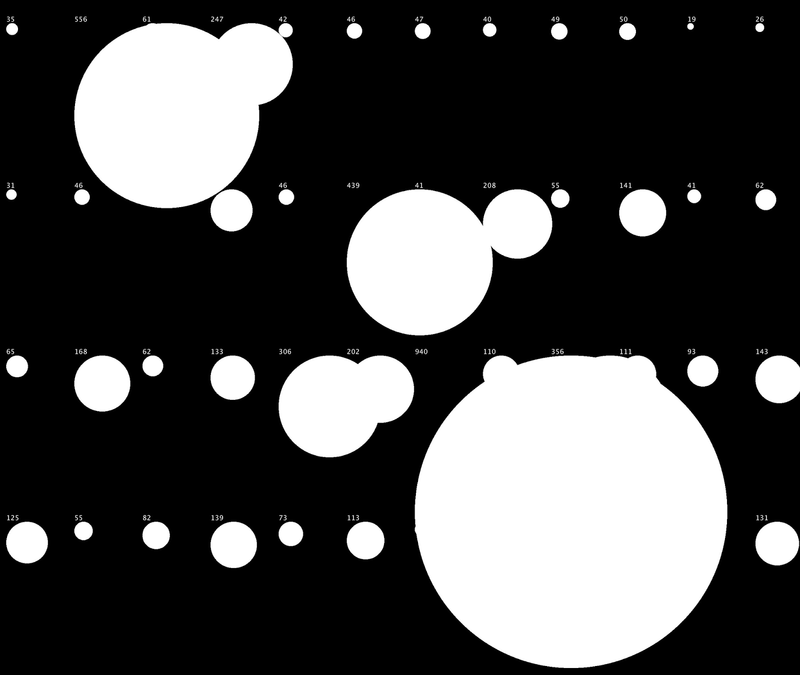 The shots are arranged in the order of their appearance in the film, left to right, top to bottom. Each shot is represented by its second frame. The complete film is 52 min, 654 shots. 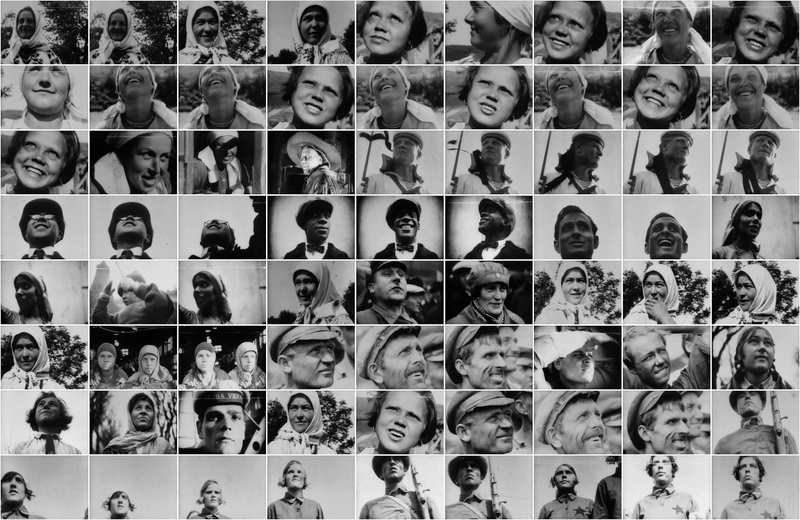 Detail of a montage of all shots with close-ups of faces from “The Eleventh Year” (Dziga Vertov, 1928). 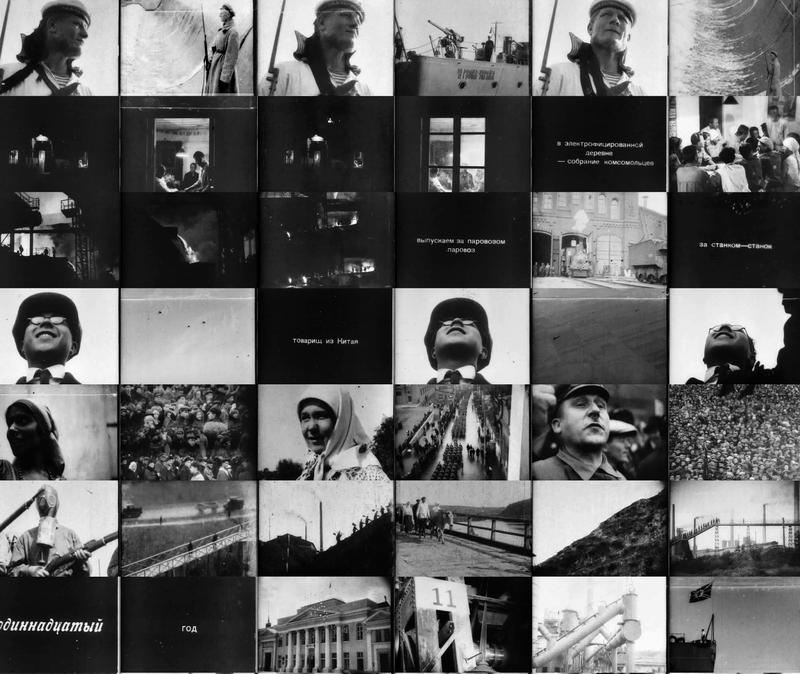 Detail of a montage of shots from “The Eleventh Year” (Dziga Vertov, 1928). Detail of a visualization of shot lengths in “The Eleventh Year” (Dziga Vertov, 1928). Download the article (PDF 10 MB). The first part of this article appeared in Russian Journal of Communication, Volume 5, Issue 1, 2013; the second part was included in Jeff Geiger and Karin Littau, eds., Cinematicity in Media History (Edinburgh University Press, 2013). You can also download a single archive file (ZIP, 58 MB) containing the article PDF and full resolution versions of all visualizations. 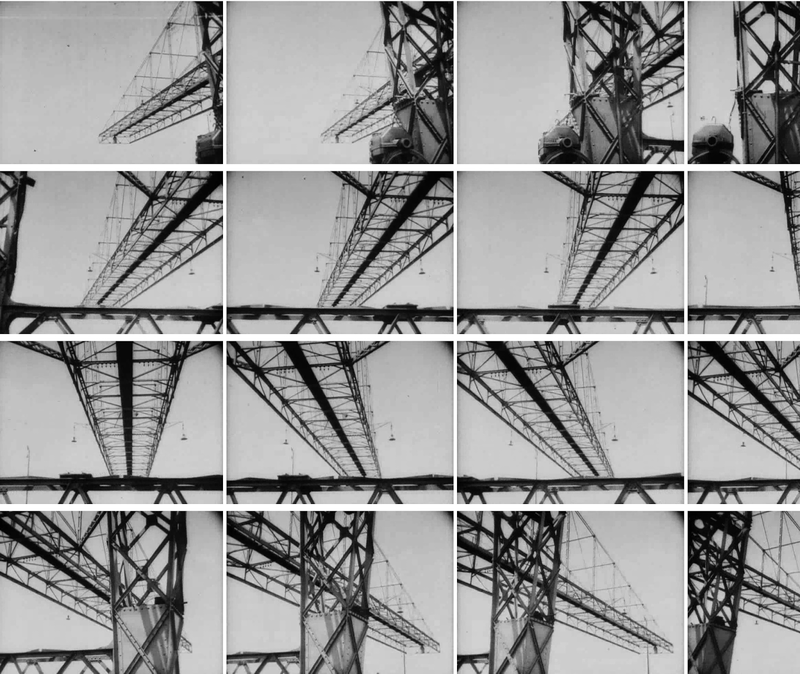 "Visualizing Vertov" (2013) presents visualization analysis of the films “The Eleventh Year” (1928) and “Man with a Movie Camera” (1929) by the famous Russian filmmaker Dziga Vertov. One of the goals of the project is to show how various dimensions of films can be explored using special visualization techniques inspired by media and new media art, as well as the basic principle of cinema itself – editing (i.e., selecting and arranging together media elements). The digital copies of Vertov's films were provided by The Austrian Film Museum (Vienna) which has one of the best collections of film prints and other Vertov materials. I am grateful to film researcher and Austrian Film Museum staff member Adelheid Heftberger for initiating and making possible this project in 2009, and providing detailed feedback on the work as it developed.